The birth of Inverness Caledonian Thistle was noisy and messy. When, in 1993, the Scottish Football League (SFL) decided to admit two extra teams, the three clubs in the Highland city of Inverness – namely Inverness Thistle, Caledonian and Clachnacuddin – worked together to amalgamate into one and leave the Highland Football League. The infant, after setbacks in its youth, including Clach’s failure to maintain their side of the agreement, was to flourish and grow into the realisation of a once distant dream. All three Inverness teams had competed on the windy banks of the River Ness in the Highland League, but Inverness Caledonian Thistle, alongside Ross County, were the new entrants into the Third Division, the SFL’s fourth tier, for the 1994/95 campaign. The new club’s first league game was against Arbroath on 13 August 1994. Alan Hercher, who had played for Caledonian, embellished his appointment as the team’s first captain by scoring a hat-trick in a 5-2 victory. When Inverness were voted into the SFL, the club and its chairman, Douglas McGilvray, were obliged to have a new stadium ready for the 1995/96 campaign. Sergei Baltacha’s side’s temporary home was Telford Street Park, which had been the home of Caledonian. The deadline for the construction of the Caledonian Stadium was put back, partly because of legal issues out of McGIlvray and his associates’ control, before it was finally ready in November 1996. The bricks and mortar enriched with red and blue seats on the gusty banks of the river remains an obelisk of the hard work of McGilvray and his team to turn a clamorous project into a fledgeling coterie of football talent based at a worthy home. 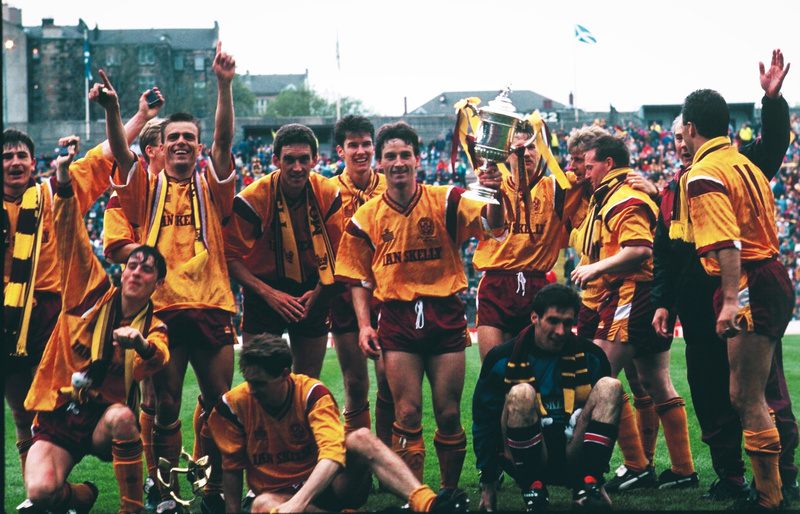 Five months after moving to their new stadium, the Caley Jags secured promotion to the Second Division as champions at the end of the 1996/97 season. In a close-fought debut year in the third tier, in which only 20 points separated champions Stranraer and relegated Stenhousemuir, Steve Paterson’s side finished fifth. The following season, however, resulted in promotion to the First Division for 1999/2000 as runners-up to Livingston, 19 points ahead of third-placed Clyde. Three mid-table seasons, which included memorable victories against Celtic in the Scottish Cup in 2000 and 2003, predated a victorious 2003/04 campaign, in which winning the Challenge Cup preceded promotion to the Scottish Premier League (SPL) for 2004/05 as champions under John Robertson. His words rang true when the club was forced to rapidly expand the capacity of the Caledonian Stadium to meet strict SPL guidelines. Falkirk’s failure to progress from the second tier to the top flight the previous year for a similar reason was proof that a long-awaited dream could have been quashed in the name of dictums regarding stadium safety and capacity. Tulloch, an Inverness-based building firm owned by McGilvray’s replacement as chairman, David Sutherland, completed a quick expansion of the stadium whilst the club ground-shared with Aberdeen. Until the 2008/09 season, under the stewardship of Craig Brewster, either side of a stint under Charlie Christie, Inverness stayed well clear of relegation. However, he was sacked in January 2009 with the club bottom, after a run of seven consecutive league defeats. Terry Butcher was drafted in, but he was unable to avoid the drop in 2009. McGilvray and his team, though, didn’t work tirelessly – after failed attempts to move into the SFL in 1973 at the expense of Edinburgh Ferranti Thistle and the early 1990s whilst Berwick Rangers flirted with total extinction – for the current crop to give up on the dream of bringing an established SPL side to Inverness in his absence. In 2009/10, a to the top flight for the following season was secured after a 7-0 win against Ayr United. As part of the promotion season, Butcher’s side maintained an unbeaten away run in league football which extended throughout 2010. The best, after relegation was avoided with a seventh-place finish in 2011, was yet to come. The 2011/12 campaign will go down in Scottish football history, with Rangers demoted to the Third Division for financial irregularities, but it was largely forgettable for Inverness despite the brilliance of new signing of Greg Tansey, who arrived on a free transfer from Stockport County. He adorned an excellent debut campaign with a free-kick on the final day of the season in a 2-0 home victory against Hibernian. The win secured 10th place in the Premiership and afforded the Liverpool-born midfielder a move back to England with Stevenage. He would eventually return. 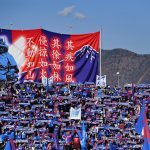 During the following season, a run of one loss in 17 league matches across the turn of 2013 saw the club mount a serious challenge for Europa League qualification. Highland rivals Ross County, though, ended all hopes of a European campaign for the time being by beating Butcher’s side 1-0 on the final day; Inverness finished two points behind third-placed St. Johnstone and a ticket to Europe. Five months after the formation of the Scottish Professional Football League (SPFL) in November 2013, Hibernian threatened to end the club’s momentum by agreeing a compensation package to take Butcher to Easter Road. However, John Hughes took over the following month and continued the former England international’s good work, aided by the return of Tansey in January 2014. He played 16 times before the end of the season, notching goals in a 2-2 tie against St. Mirren and a 2-0 win against St. Johnstone, as a fifth-place finish in the 2013/14 SPFL Premiership season was secured. The highlight of the season was a run to the League Cup final. Dundee and their close rivals, Dundee United, were seen off before a dramatic semi-final clash with Hearts. Tansey opened the scoring with a superb 25-yard strike before Jamie Hamill’s double put Hearts ahead. Inverness, down to nine men after defenders Gary Warren and Josh Meekings were sent off, equalised through Nick Ross before winning the resulting penalty shootout 4-2. Sadly, the final proved to be a step too far, Aberdeen winning 4-2 on penalties after the game had remained goalless. 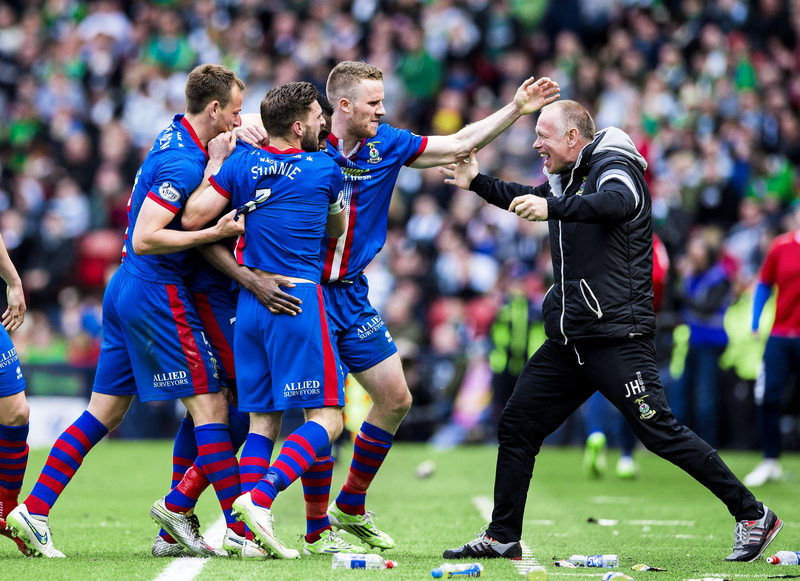 Nevertheless, Inverness entered the 2014/15 season in high spirits. The league campaign began with four wins and a draw, including a goal and an assist from Tansey in a 2-0 win against Motherwell. which saw Hughes’ side occupy first place in mid-September. By now, the Caley Thistle fraternity was 20 years old, and a complex peregrination, which began with a series of boardroom meetings in the 1990s, had seen the club evolve from a fourth-tier hopeful at the bottom of the food chain to a Premiership underdog ready to venture out into Europe. A measure of the merger’s success was that Hughes’ side were considered as likely candidates to trouble Celtic in the Scottish Cup after a 4-0 victory against St. Mirren in the fourth round. Narrow wins against Partick Thistle and Raith Rovers followed to set up a meeting with Ronny Deila’s Hoops at the semi-final stage. Celtic were, of course, favourites to progress to the final at Hampden Park and, when Virgil van Dijk put the league champions ahead with a free-kick, the result seemed inevitable. With the score at 1-0, Meekings blocked a goal-bound Leigh Griffiths shot with his hand. His discretion would have resulted in a red card had referee Steven McLean and his officials seen it, but it was instead his opposing goalkeeper, Craig Gordon, who was sent off after bringing down Marley Watkins in the penalty area. Tansey, after goals against St. Mirren and Partick on the journey to the semis, scored from the spot to level the score. In extra-time, Edward Ofere fired Inverness ahead, only for John Guidetti to draw the game level at 2-2. Hughes’ side could not be held down, though; in the 117th minute, David Raven tapped in Graeme Shinnie’s cross to put the underdogs through to the final. Less than a week after third place in the Premiership was sealed with a 3-0 win against Dundee United, a second chance at major domestic success followed. Falkirk were the opponents and all that stood in the way of McGilvray’s foundations turning into a national triumph. Inverness took the lead through Watkins but conceded an equaliser to Peter Grant after Carl Tremarco had been sent off. With ten men, James Vincent secured a famous victory in the 86th minute for Inverness from close range. Referee Willie Collum’s final blow of his whistle was the moment of euphoria that McGilvray had worked so desperately hard for. It was for the years of hardship that football fans in Inverness had endured in the Highland League; for the construction workers who laboured their fingers to their bones to ready the Caledonian Stadium; for the seven managers who had each improved the club, step by step; for every player and member of staff; for looking past rivalries to achieve one goal for the good of a city and its assemblage of football supporters. The 2015/16 season was always going to struggle to live up to the previous campaign, even with the promise of European competition. Indeed, Hughes wasn’t helped by the departures of Watkins, Shinnie, Ross and Ofere, who had been integral to the club’s success, and his side fell to Astra Giurgiu of Romania in the second qualifying round of the Europa League. The Premiership season also started poorly, with only a win against Hearts in the first eight matches, but a seventh-place finish was eventually secured. The season was headlined by a 4-3 win against Hamilton Academical in December 2015, in which Tansey scored two long-distance free-kicks before assisting Liam Polworth’s late winner. A serious demise seemed unlikely at first, but Hughes’ departure ahead of the 2016/17 season preceded a nightmare spell under captain-turned-manager Richie Foran. 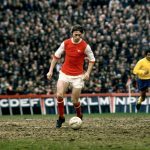 Few of the cup-winning squad remained and, despite Tansey’s seven goals, the Irishman’s side finished bottom of the Premiership and dropped back to the second tier. Since then, mediocrity in the First Division has followed, with the 2017/18 Challenge Cup title a mere sunny afternoon for a sinking ship on the River Ness. Tansey has since moved on to St. Mirren via Aberdeen and Ross County. When Inverness’ rivals coalesced for the 1994/95 season, McGilvray said: “In the years which lie ahead, I feel confident that more extraordinary chapters remain to be written.” He was right: with the club adrift of local rivals Ross County in the second tier, a prodigious triumph once again for the long-suffering football zealots of Inverness feels distant yet not impossible.